» How to update your password for Outlook 2016 and 2019 accounts? How to update your password for Outlook 2016 and 2019 accounts? Securing your email account is a critical measure needed to safeguard your online privacy. Defining a strong password and storing it in a password keeping tool is a good first step. It is recommended, however, to proactively change your password periodically to ensure your account stays protected. This post explains how you can easily reset your Outlook password in Microsoft Office 2016, 365 /2019. For simplicity, this tutorial assumes that you are using Outlook.com as your mail provider (although this process is fully applicable when using an Exchange Server, Yahoo, Gmail or the account provided you by your ISP). We’ll start by showing how you can modify your Outlook.com settings, and then actually update your desktop edition of Outlook 365 (2019/2016). Log into your Account, Click on Settings on the top right and select Options. On Managing your account, Click Account details. From the opened new tab select Security & Privacy. Enter Current password, New password and retype new password respectively on the space provided. Click Save to change to your new password. Note: this process can be executed not only on your PC, but also for your cellular phone (be it Iphone or Android) as well as tablets (iPads, Android, Fire). Our next step will be the configure the desktop edition of Outlook (the one installed on your personal computer) to work with the modified password. From your computer, open Microsoft Outlook. Hit File and then select Account settings. 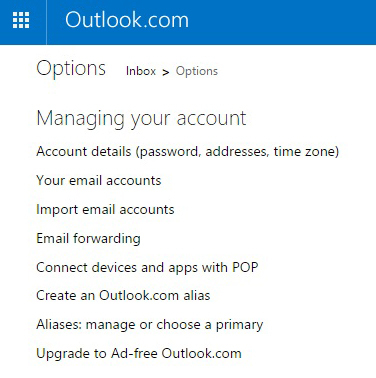 In the Account settings dialog box, select your email Account (note that if you use Outlook to access both your work Microsoft Exchange Server account as well as private email (GMial, Outlook.com, Yahoo and so forth, you’ll have multiple accounts defined in Outlook). Under Change Settings, Enter your new password. As a rule, always use a “strong” password that contains both upper and lower case letters, signs and numbers and it’s longer than 8 characters. It’s important that you’ll keep your password secure using password keeping software (Passpack, LastPass and so forth). Click Next to run the test run, and close it. Your password will be changed. Got an additional question? Look into our guide on how to get your questions answered. I have tried the above steps to update my password for Office Outlook several times, but I can’t get it to work. I have office 365. It’s a yearly subscription. I assume I have Outlook 2019, but maybe I only have 2016. Is there another way I can change the password? 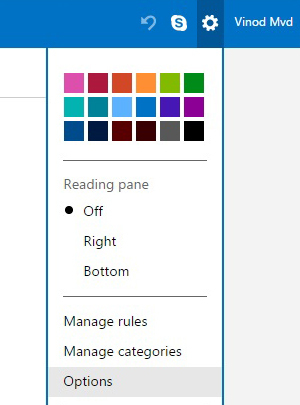 It doesn’t work for Outlook 2019. ‘Change’ does not produce a password box.